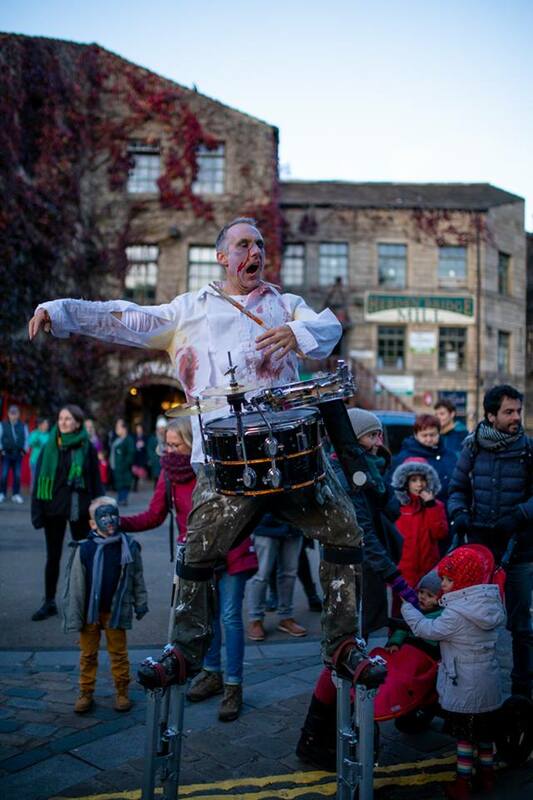 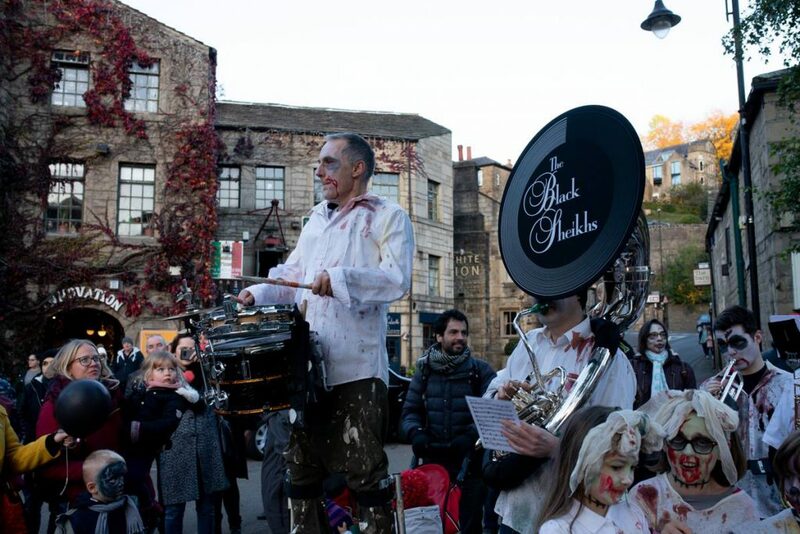 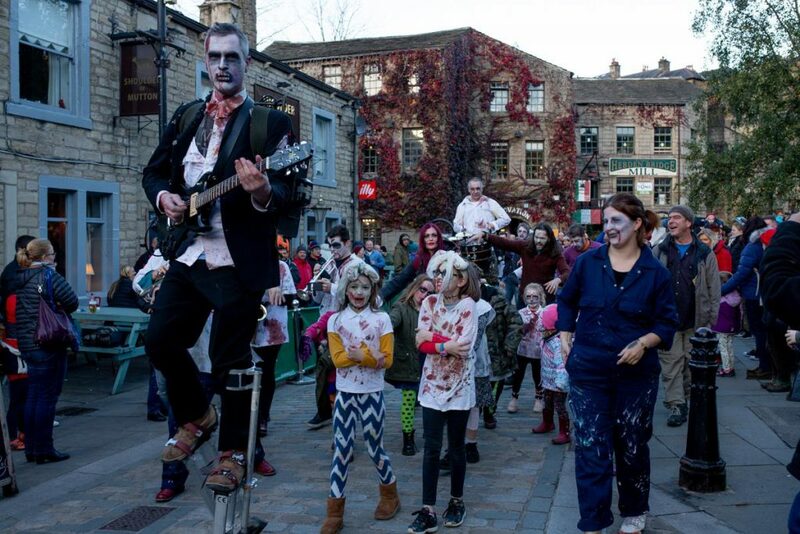 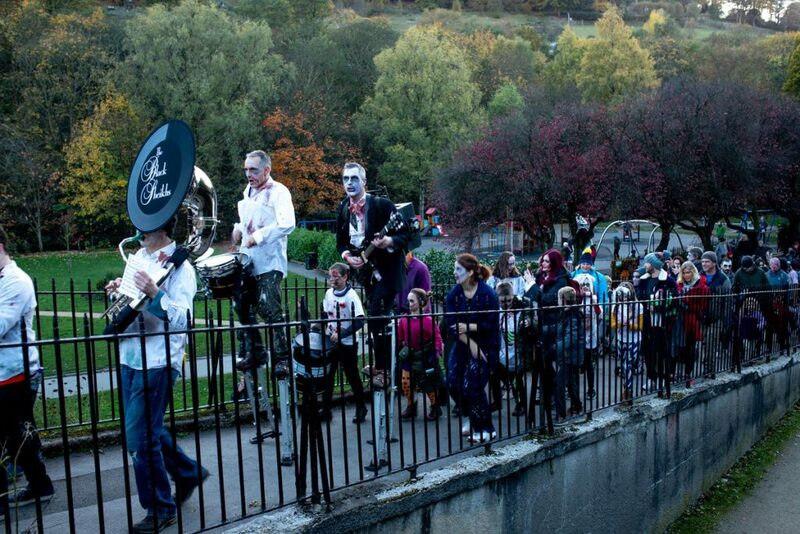 Many thanks to Sand In Your Eye and Hebden Bridge Town Council for inviting me to run some workshops and a parade in Hebden Bridge this year. 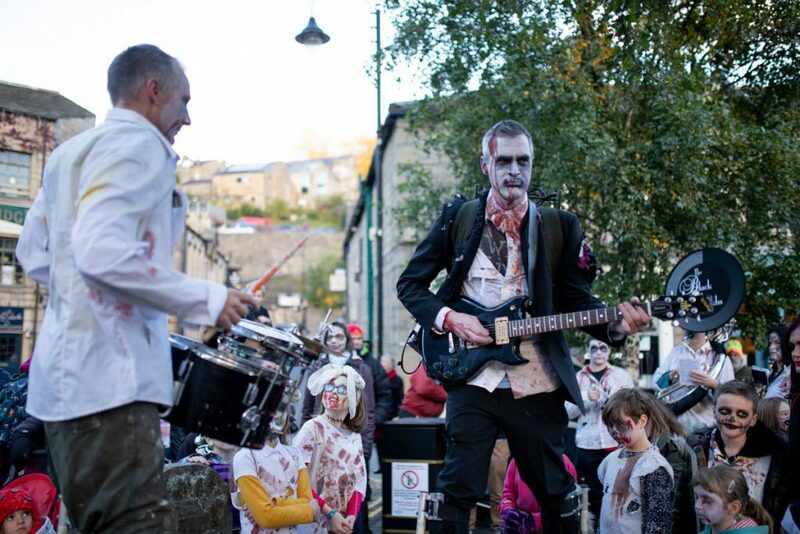 It was a crazy success, and everyone had a mad time, getting dressed up as zombies and parading through town with the band. 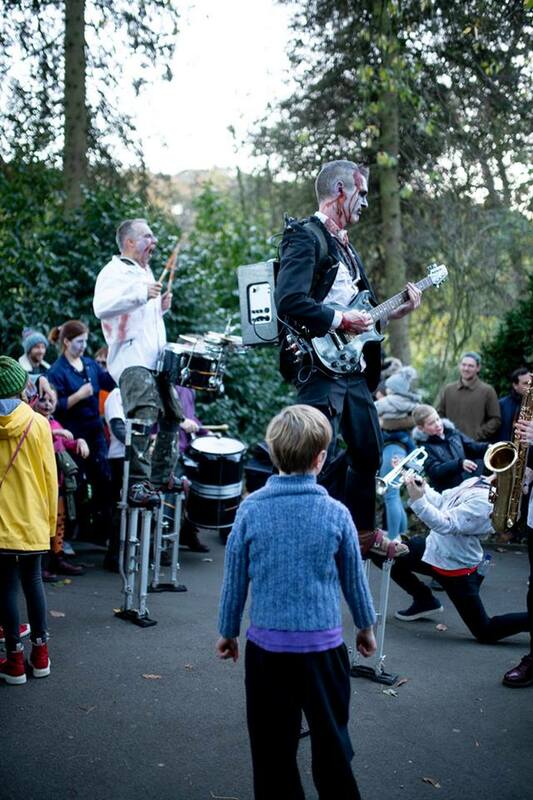 Here are a few photos of the event, courtesy of Sand In Your Eye.